In the world of Hollywood, the calendar year has five seasons not four. It has all the traditional seasons, plus the holiday season, which starts officially the first Friday in November, a full three weeks before Thanksgiving, and continues through New Year’s week or weekend. 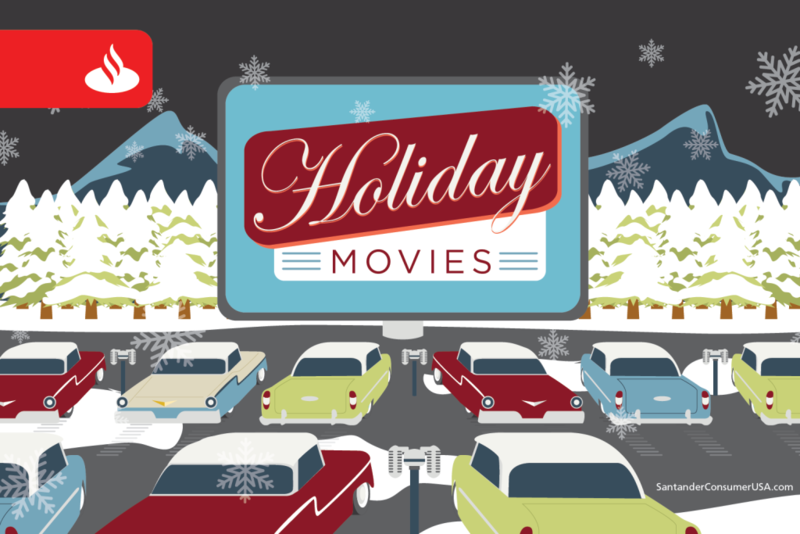 And no wonder, with receipts of nearly $3 billion last year from more than 100 movies, according to Box Office Mojo (only summer is bigger), the holidays deserve a distinct season. Perhaps that makes it especially appropriate that the holiday season would open with Dr. Strange, featuring Benedict Cumberbatch as Sorcerer Supreme with comic-book-and-movie empire Marvel taking “a turn towards the supernatural and psychedelic,” according to Fandango movie ticket service. Openings for Trolls (Nov. 4), a “magical musical” about a mismatched duo who must save their town, featuring the voices and/or vocals of Justin Timberlake, Anna Kendrick, Zooey Deschanel and Gwen Stefani; Fantastic Beasts and Where to Find Them (Nov. 18) from the Harry Potter franchise; Nocturnal Animals (Nov. 18), a dark drama/thriller with Jake Gyllenhaal in a plot too thick to describe easily, and Incarnate (Dec. 2), a demonic possession movie with a scientific twist. Watch for Arrival (Nov. 11), in which a language expert “communicates with extraterrestrials whose ships show up around the world,” plus Rogue One: A Star Wars Story (Dec. 16), a spin-off/prequel of sorts; The Space Between Us (Dec. 16), about an Earth visit by the first boy born on Mars, Assassin’s Creed (Dec. 21), with Michael Fassbender as the video-game-turned-big-screen protagonist, and Passengers (Dec. 21) “high-concept adventure that is also a sweeping romance” with Jennifer Lawrence. Hacksaw Ridge (Nov. 4), directed by Mel Gibson, features Andrew Garfield as a real-life Medal of Honor winner who saved more than 75 men in battle despite not carrying a weapon and Allied (Nov. 23), featuring espionage, Casablanca and Brad Pitt – what more could you want? Besides Trolls (see MORE STRANGENESS above), Moana (Nov. 23) is a wannabe Disney classic, an “oceanic adventure” in which a little girl teams up with Polynesian demigod Maui, and Sing (Dec. 21), about a koala who plans to restore his theater to glory by hosting a singing competition. The Edge of Seventeen – A coming-of-age dramedy featuring Oscar nominee Hailee Steinfeld. Manchester by the Sea – One of the most talked about films at the Sundance festival, it features “awards-buzz performances” by Michelle Williams and Casey Affleck. Bleed for This – A boxer who makes an “amazing comeback” from a broken neck. Rules Don’t Apply – An Old Hollywood-set comedy with Warren Beatty and Alden Ehrenreich. Miss Sloane – Thriller about a cunning, successful Washington, D.C., lobbyist played by Jessica Chastain. Jackie – Oscar-contender Natalie Portman portrays former First Lady Jacqueline Kennedy after the assassination of President John F. Kennedy. La La Land – Ryan Gosling and Emma Stone in an old-style musical with a modern touch. Fences – An adaptation of the iconic play about race relations in 1950s America, featuring Denzel Washington and Oscar-contender Viola Davis. Why Him? – Bryan Cranston and James Franco in an “odd” comedy pairing. A Monster Calls – Gravel-voiced tree (Liam Neeson) helps a young boy deal with mother’s illness. Silence – Jesuit priests travel to 16th-century Japan to search for their missing mentor. Gold – Combined jungle adventure and corporate drama featuring, wait for it, Matthew McConaughey. It’s enough to keep most of us entertained in between wrapping and unwrapping gifts, consuming vast quantities of holiday fare and visiting with family and friends. Which, if you think about it, isn’t strange at all.